Hailing from Finland, Barren Earth have always been considered a Frankenstein mix of Amorphis, Swallow The Sun and Opeth. And despite the grandiosity of those acts, Barren Earth walk a tightrope to manage a voice of their own. Bringing solid songwriting and a refined approach to the music found on their previous records in order to make an album that not only achieves high quality, but easily surpasses any predetermined level of expectation. A Complex Of Cages presents itself as a restrained effort, combining what made the band so interesting on their debut, Curse Of The Red River and again on their next two records, really hitting a defining stride with On Lonely Towers (even with a vocalist change). 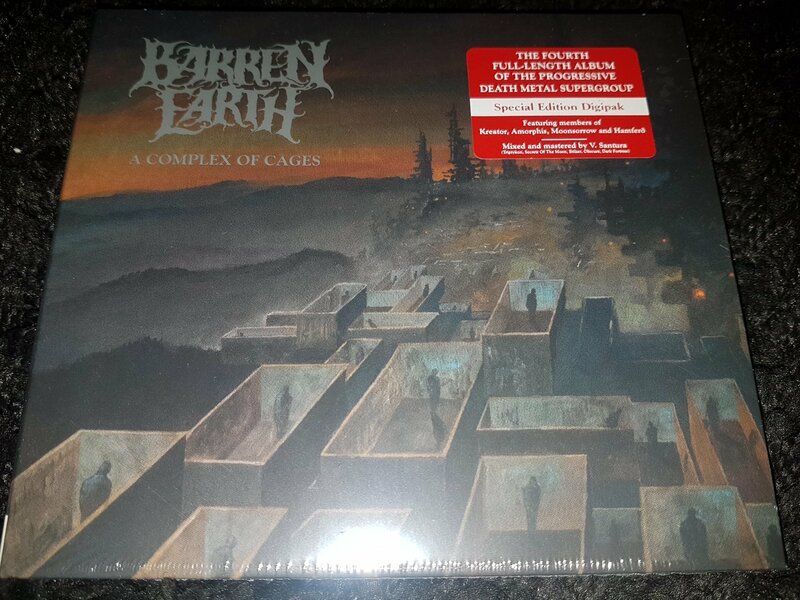 For progressive metal, Barren Earth’s A Complex Of Cages is a must hear album of 2018.